Malaika Arora's Morning Coffee Is Weight Loss And Ketogenic-Friendly! It's no cake walk to lose weight. You need to keep a check on not just the level of your physical activity, but also diet. Then there's your metabolic rate to worry about. Additionally, it's important for effective weight loss that you stay hydrated, keep your levels of stress under check, and also get enough sleep. Managing so many factors during busy weekdays can be a task. But a lot of it gets easier if you just keep a tight control over your diet. A healthy diet is crucial to lose weight and there are a number of small diet changes that can also go a long way in helping you boost your weight loss. Lately a lot of people, including our very own Malaika Arora, have been adding butter or ghee to their morning coffees, swearing that it helps them lose weight and stay energetic throughout the day. Bulletproof coffee is a ketogenic drink that is said to fasten weight loss and increase a person's level of energy. It is usually consumed by those who are on a low-carb and high-fat diet, and since it is high in calories (from the fats), it is advised that it be consumed before workouts. 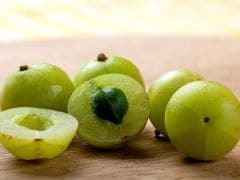 It is also said to suppress appetite. 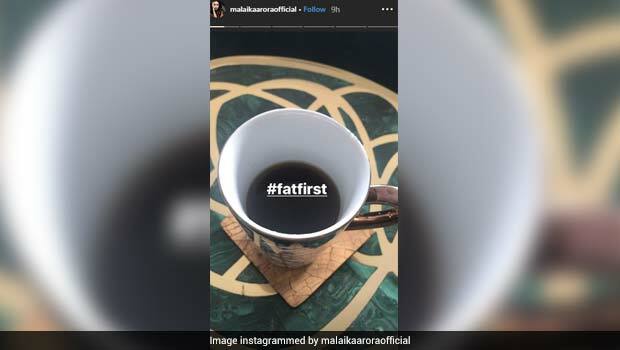 Malaika Arora is a fitness icon in her own right and today she shared a picture of her 'fat first' coffee on her Instagram page, making us wonder whether the diva also likes to add butter in her morning cup of joe. Bulletproof coffee is prepared by blending black coffee with a tablespoon of grass-fed cow ghee (clarified butter) or coconut oil. The coffee is prepared using a milk frother. The coffee is said to be healthy and filling as it contains healthy fats and caffeine for high energy. There has been some debate as to whether or not this drink actually leads to weight loss and delivers everything that it promises. But there has been considerable rise in the popularity of the drink, nonetheless. Ketogenic diet and ketogenic-friendly foods were among the top trends in 2018 in health and nutrition, and although a number of celebrities and so-called 'social media influencers' seem to be convinced that it works, there is a lack of scientific research and conclusive evidence that points to the same. Would you drink bulletproof coffee for weight loss? Let us know in the comments below!